Schlitterbahn opens from March 9-17 during Spring Break for certain areas of the park. Then it is usually open weekends beginning in late-April and daily starting in mid-May. The waterpark is scheduled for full operation from June to mid-August. Schlitterbahn allows you to bring your own food and drink into the park. Please do not bring alcohol or glass containers. Children under 3 years old are free. Schlitterbahn has six water playgrounds for kids. 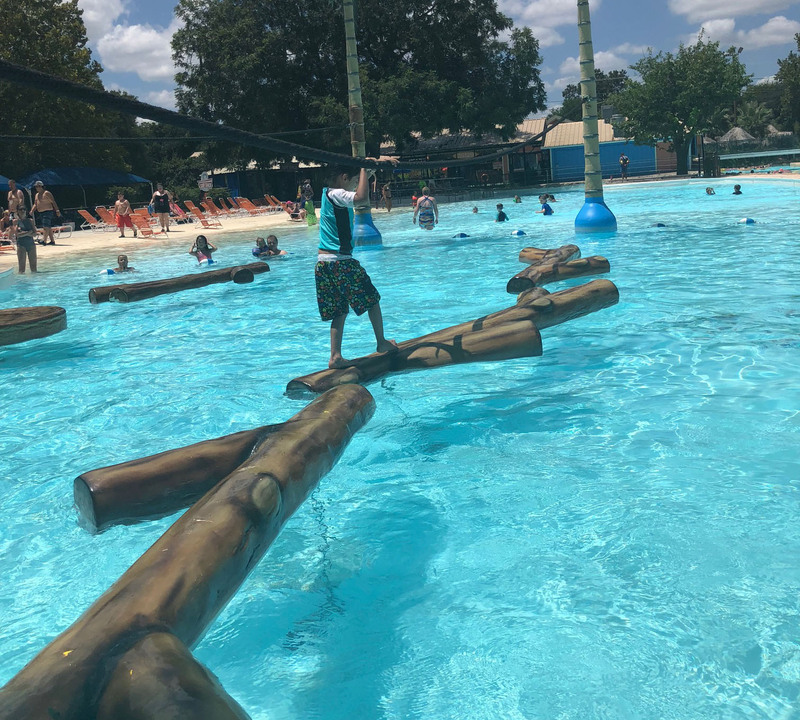 For the smallest children, Schatze’s Central Park in the Kinderlund section in the West Side of Schlitterbahn and Kinderhaven in the Blastenhoff section of the East Side of Schlitterbahn have been designed with little ones in mind. There are so many fun things to do at Schlitterbhan. You can get the map at the ticket counter or download the map on-line to plan your day in advance and get the most of the rides and activities. It is best to leave important valuable items at home or in the car. Lockers are available for a fee with automated locks. You can get Splash Cards to take around and redeem the unused value at the end of the day. That way, if you need to carry money when you are in the water, you can. Check out directions and parking. 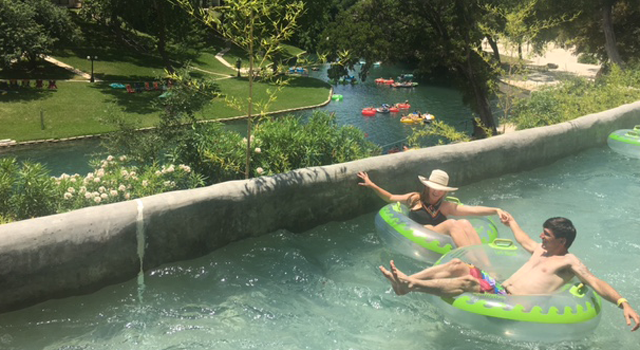 Schlitterbahn New Braunfels Waterpark has two sections that are separated by a few city blocks. You can park your car at one park and take trams that run all day to get you from one side to the other. Schlitterbhan has life jackets and kid's tubes available at no charge. They're available on all of theriver beaches on a first-come, first-serve basis. You may also bring your own life jacket. You are not allowed to use your own recreational flotation devices in the waterpark. Only four rides have height requirements: the Master Blaster, Dragon's Revenge, the SkyCoaster, and the Downhill Racer. You must be at least 42 inches tall to ride these rides. Schlitterbhan does not allow a child to ride on the lap. For the safety of guests, Schlitterbahn will remain open on most rainy days; however, Schlitterbahn attractions may need to close, in the event of severe inclement weather, such as lightning, heavy rain, or high winds. Join our mailing list to receive the latest news and updates from San Antonio Tourism.